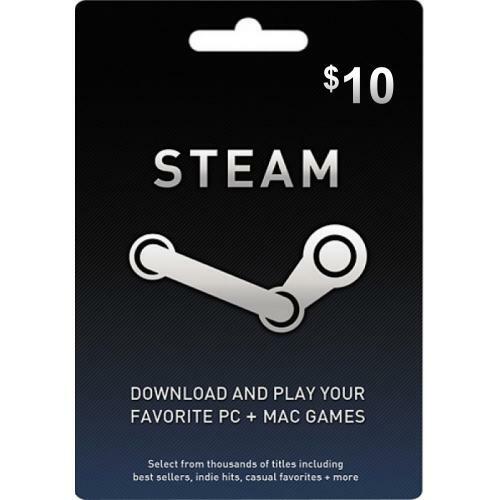 Buy Valve Steam Wallet Card Worldwide [$10] for PC in India at the best price. Screenshots, videos, reviews available. Are you sharp-shooting assassin? Do you seek glory on the gridiron? Can you devise the most cunning of strategies in open combat? When you're a gamer, there's no such thing as "Game Over." Ensure you never run out of gaming Steam by fuelling the action with this Steam Wallet Card. Your key to a world full of gaming possibilities, this Steam Wallet Card provides you with $10 to spend on the content you crave. Whether you're a soldier, athlete or explorer, one thing's for sure — you're a gamer. Are you ready for some Steam-powered action? The $10 Steam wallet code is bang-for-buck. You can purchase Steam games upto $10. I got this because of the upcoming holiday sale where I can get games which are 75%-80% off. Today I purchased Red Orchestra 2 GOTY for only $2.49! Thank you nextworld for listing this card... in future I will buy more of these from your store.